Preheat a large sauté pan to medium heat. Place the pork fat or salt pork into the sauté pan and cook until rendered and starting to brown. Add the ground bison. 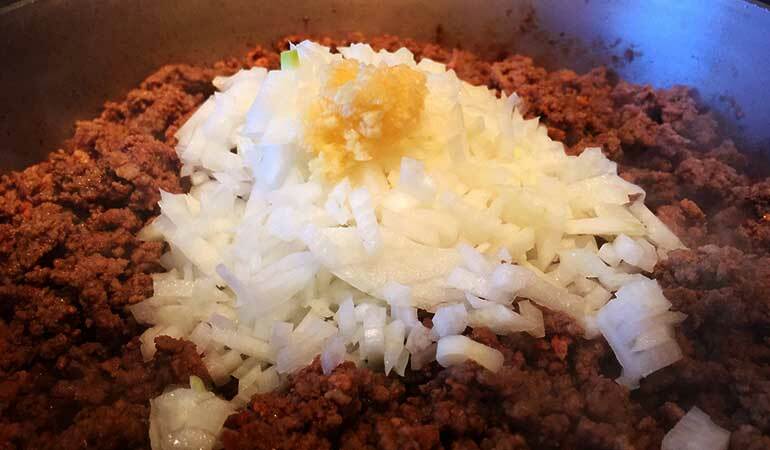 Cook until the bison meat is well browned. Add the onion and garlic to the sauté pan and cook until the onions are translucent. 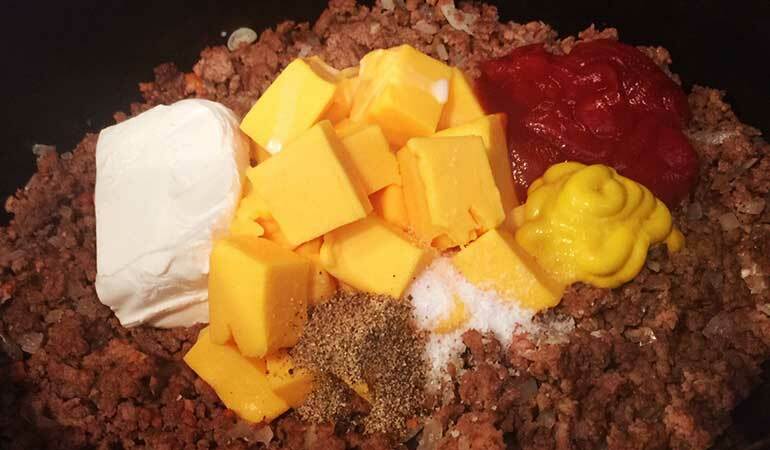 Place the bison mixture, condensed milk, Velveeta cheese cubes, ketchup and mustard into the slow cooker. Season to taste with salt and pepper. Secure the lid on the slow cooker and cook on medium heat for 2 hours; stirring every 45 minutes. Assemble each bison cheeseburger sub by placing a lettuce leaf inside the sub roll, followed by a large spoonful of the bison/cheese mixture. 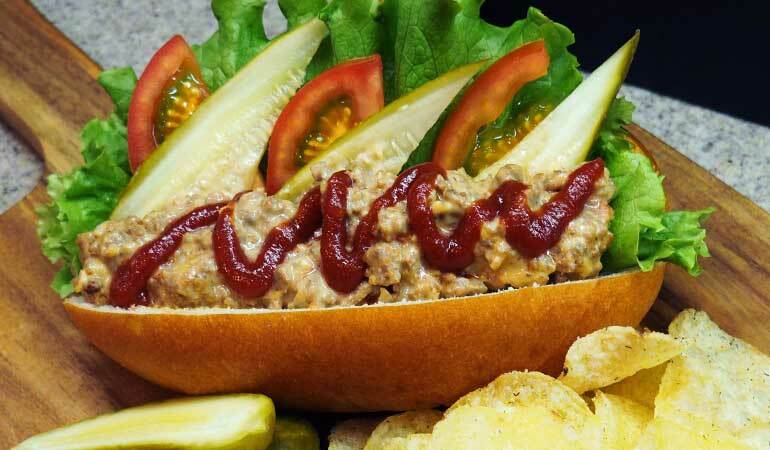 Garnish each bison sub with pickles, tomato slices and perhaps your favorite hot sauce.